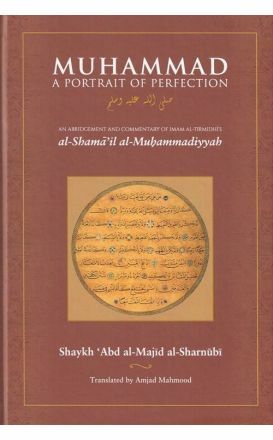 An abridgment and commentary of Imam Al-Tirmidhi's Al-Shama'il Al-Muhammdadiyyah by Shaykh 'Abd al-Majid al-Sharnubi. The Prophet Muhammad (Allah bless him and give him peace) is both the moral exemplar for mankind—sent by Allah as a mercy to the worlds (Qur’an 21:107)—and the ultimate possessor of physical beauty. His Companion Hadhrat 'Ali ibn Abi Ṭalib (may Allah be pleased with him) said—as did many others—that 'Never have I seen the like of him; not before or since’. Naturally, Muslims, beginning first and foremost with his contemporaries (i.e. the Companions), have meticulously conveyed the fine details of his beauty and character, including his physical form, seal of prophethood, clothing, and his manner of walking, reclining, eating, drinking, speaking and laughter, sleeping and devotion and so forth. The earliest and most famous work of this genre was the Shama’il of the great Hadith master Imam al-Tirmidhi. This latter work was later abridged and annotated by Shaykh al-Sharnubi, of which this is the English translation. Muhammad b. 'Isa b. Thawra b. Musa b. al-Dahhak. Tirmidhi. His Kunya was Abu 'Isa but most widely known as Imam Tirmidhi. He was born in the year 209 A.H. He was the compiler of al-Jami' at-Tirmidhi which is among the six authentic books of hadith. According to Ibn Taymiyya and Shah Waliullah, Imam Timidhi was an independent Jurist (Mujtahid). Imam At-Tirmidhi died in Rajab 279 A.H. at the age of seventy. 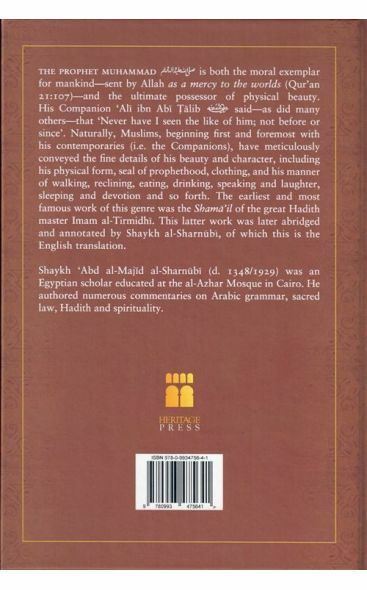 Shaykh 'Abd al-Majid al-Sharnubi (d. 1348 AH / 1929 CE) was an Egyptian scholar educated at the al-Azhar Mosque in Cairo. 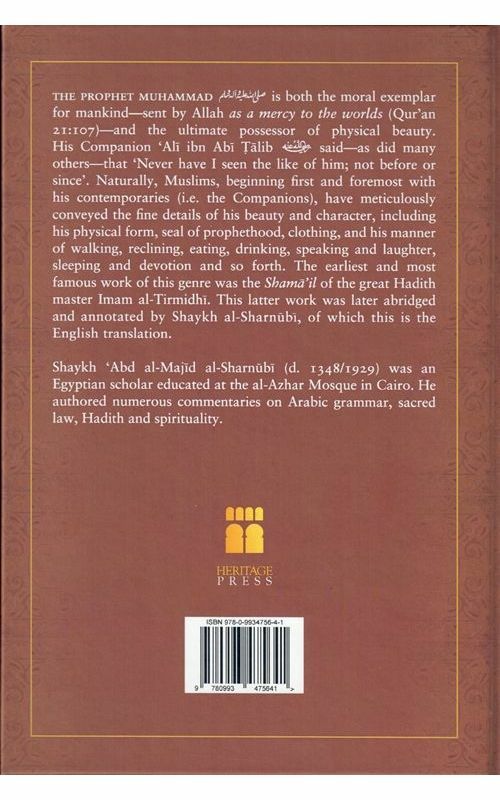 He authored numerous commentaries on Arabic grammar, sacred law, Hadith and spirituality.